"You can get it in any color you want as long as it is BLACK"
In Photographs > Show & Tell and Classic Cars > Ford Model T > Show & Tell. My other grandmother sitting on a 1924 Ford Model T touring car. 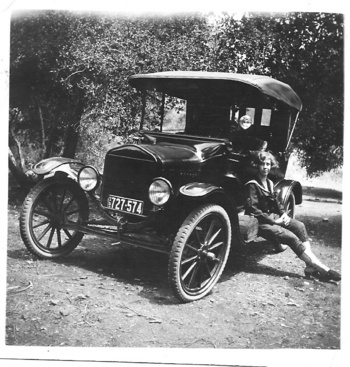 Her father worked for the Ford assembly plant in Los Angeles until it was moved to Long Breach, CA in 1930. The correct quote was " You can get it in any color you want as long as it is black". I know , silly me ! Manikin thanks for the comment. According to my mother my grandmother was ahead of her time, she was driving a car when it was unheard of for a woman to drive a motor vehicle.